« The First IT Services Blog? 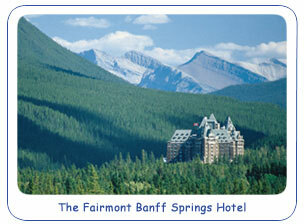 Last week I attended the WWW 2007 conference, which was held at the Fairmont Banff Springs Hotel, Banff, Canada. And, as can be seen from the accompanying photograph (or the 646 and rising photos tagged with ‘www2007’ at Flickr) this was a spectacular location for the 974 participants from 40 different countries. Initially I had intended to write daily trip reports from the conference. But a combination of (a) difficulties logging in to the WiFi network (on a number of occasions delegates unplugged the WiFi router in order to plug in their own laptop! ); (b) needed to reflect on the new topics I was hearing about; (c) networking and (c) spending time admiring the view made me decide to write my reports after the conference had finished. It wasn’t just the location of the conference (although that undoubtedly helped) but I’m sure I wasn’t the only delegate to feel inspired by the conference – indeed Peter Murray-Rust (whom I first met at the first WWW conference in 1994) commented on his blog “I am delighted that I had the chance to go to WWW2007 – at one stage I’d wondered whether there would be anything of interest other than the session I was in. … As it turned out I got so excited I found it difficult to sleep“. Web 2.0 seems to have been accepted as the norm by many participants. There were several talks and sessions which covered blogs, wikis, social networks, AJAX, etc. And Tom Tim Berners-Lee, the inventor of the Web, demonstrated an AJAX application which he had written. The Semantic Web featured in many of the sessions. However in various discussions I had during the conference, it seems that some of the criticisms which have been raised about the Semantic Web are now being acknowledged. In particular it seems that the focus for Semantic Web activities is now on linking large data sources, with a move away from the knowledge representation issues (and, in particular, from the notion of the view of the Semantic Web as a global expert system). I attended a couple of sessions on or related to Linked Data. This term, which was new to me, was coined by Tim Berners-Lee last year. The ideas were explored in more depth in the Developers Track (chaired by Danny Ayres whom I met for the first time, having frequently come across his blog postings when searching for information on RDF) which included a panel session on Building a Semantic Web in Which Data Can Participate(chaired by Paul Miller from Talis and a former colleague of mine) and a session on Linked Data, which Danny chaired. The focus of the panel on Building a Semantic Web in Which Data Can Participate was on openness with talks from Steve Coast (on his OpenStreepMap work), Peter Murray-Rust (a chemist at the University of Cambridge who used his blog as the basis for his presentation to describe his passion for openness of scientific data), Ian Davis Rob Stiles (from Talis in the UK who described the need to provide open licences for databases and the work Talis is engaged in in developing such licences) and Jamie Taylor from MetaWeb and a developer of Freebase – an open Web 2.0 database, which has been exciting many Web developers recently – as can be seen from Denny Vrandecic’s blog posting. The Linked Data session the following day featured three presentations from Tim Berners-Lee (W3C) on ‘Tabulator: A Semantic Web Browser‘, Christian Bizer (Freie University Berlin) on ‘Querying Wikipedia Like a Database‘ and Tom Heath (KMi, The Open University) on ‘How to Combine the Best of Web2.0 and a Semantic Web: Examples from Revyu.com‘. Tim described the Tabulator generic data browser which he had developed (note that this prototype works only in a suitably configured FireFox browser and its functionality can be difficult to understand – it brings together data from disparate sources). Tim’s talk was somewhat confusing, as he was clearly so excited by the topic that he lost his focus. On the other hand, Tim did succeed in providing an on-the-fly integration of bioinformatics data provided by one of the delegates in the audience which, for those who understood what was happening beneath the surface, was very impressive. Another live demonstration of the power of linked data was given by Christian Bizer who described DBpedia – “a community effort to extract structured information from Wikipedia and to make this information available on the Web. DBpedia allows you to ask sophisticated queries against Wikipedia and to link other datasets on the Web to Wikipedia data“. As an example see the query of Tennis players from Moscow. The power, though, is the integration of queries of the DBPedia database with other data sources – details of which are provided on the DBPedia Web site. The final talk was given by Tom Heath, a PhD student at KMi, in the Open University (and someone I have known for a number of years). Tom demonstrated his Revyuapplication. On the surface this looks like many of the other review services on the Web. The power of Tom’s application is that the data is freely available as RDF, again allowing the data to be integrated with other data sources. These two session very much excited me. At previous WWW conferences Semantic Web sessions had focussed on the underlying technologies (RDF, OWL, etc.). Now, it seems, Semantic Web applications are starting to be developed which can demonstrate the power of ‘linked data’. And, over lunch, I had discussions with Peter Murray-Rust, Tom Heath and others on the application of linked data in scientific applications. This led to Peter’s posting on the chemical semantic web has arrived! just do it NOW – May 11th, 2007. This excitement continued in the Balkan Restaurant later that evening. Initially intended for a small group, the invitation was posted on the conference wiki and over 20 people, mostly those who are active in linked data research and development work, attended. This is an area very much of interest to UKOLN, with our long-standing involvement in library applications and more recent interests in the scientific area. My own particular area of interest is in disseminating and embedding innovations across UKOLN’s communities. I think there is now a feeling within the Semantic Web community that the previous focus on the underlying standards, accompanied by the hype in the Semantic Web, had proved counter-productive, and there was a need to engage more effectively with user communities, including the research and education sector. So I was pleased to have discussions with several of the participants at the meal which explored ways of making use of the various applications I’ve described across a wider community. I’ll need to send lots of emails when I return to work. So Linked Data was the highlife of the conference for me. If you carry out a Technorati search for Linked Data WWW2007 you’ll find other blog postings on this subject, including one’s by Paul Miller (twice) and the anarchitect blog (again two postings). Further reflections on the WWW 2007 to follow. This entry was posted on 14 May 2007 at 2:30 am	and is filed under Events. Tagged: WWW2007. You can follow any responses to this entry through the RSS 2.0 feed. You can leave a response, or trackback from your own site. It looks like the Linked/Open Data memes will continue and get stronger at XTech in Paris this week. Speaking of which, time to write paper and pack! Hi Paul, Tim – Thanks for pointing out my errors, which I’ve now fixed. And yes, the XTech 2007 conference loks very interesting. I’ll be looking forward to reading blog posts about the event – and I notice that Paul Miller and Peter Murray-Rust have already published postings about the conference. Many thanks for this. Did you miss the Tagging and Metadata for Social Information Organization workshop? I’m still somewhat pre-semantic web so I had a look at Peter Murray-Rust’s blog (gist: do it now), the pdf describing Tabulator, and then Tabulator itself. Sure enough, Tabulator runs OK and I was able to browse satisfactorily (reassuringly Gopher-like, I thought) though I had problems with querying. I didn’t think the available content is exactly compelling but that was never a show-stopper and I’m pleased that there’s an attempt to simplify/bring stuff together for the likes of yours truly. It’d be even better if there was a YouTube demo or similar (if there is, I couldn’t find it). As ever, it will make more sense when average joes can generate content for Tabulator and that’s one of my goals for the Summer. However, I also suspect that we have some way to go before this becomes seriously mainstream. Feel free to tell me I’m wrong (after all, I was a fan of Gopher…). Hi Daniel – I’m afraid that I couldn’t attend the Tagging and Metadata for Social Information Organization workshop as I weas speaking at the W4A conference which was on at the same time. Your workshop did look interesting. Do you have any plans to make the papers, slides and reports avilable? Note that several of the slides from the W4A conference have been published on the Slideshare repository (using the conference tag ‘w4a2007’. dailly and obtain pleasant data from here all the time. is a little vanilla. You ought to look at Yahoo’s home page and watch how they create article titles to grab viewers to open the links.